WHAT AWAITS YOU HERE | The company Český Regent s.r.o. Do you want to see how classic Czech beer is brewed? We'll take you on an interesting tour of the brewery, which is one of the oldest in the world and has more than 600 years of tradition behind it. The brewery in Trebon was founded in 1379. However, most of today's brewery buildings date from the second half of the 19th century. It now stands in the place where Petr Vok of Rožmberk built the armory at the beginning of the 17th century. The brewery was rebuilt around 100 years later as the Schwarzenberg Brewery, which was then expanded to its present form. Up until the end of World War II, the brewery was owned by the Schwarzenberg family, after which it was nationalized and became part of the national company South Bohemian Brewery. 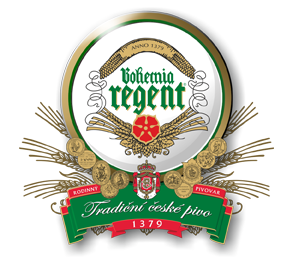 Since 2000, the brewery has been in private hands of the shareholder company, Bohemia Regent. Historic buildings, classic raw materials, a traditional Czech production process and modern high technology. This creates a great Třeboň beer. Come to see for yourself with your own eyes, ears and nose. We organize regular tours throughout the year, where you will observe the most important brewery operations and listen to an interesting chronicle of the history of the brewery and beer brewing. You will also get to know the unique Schwarzenberg architecture in which the brewery is set. You can also take a look at the ancient cellars, where the Třeboň beer matures in lager casks about 10 meters below ground at a temperature of 5 - 6 o C.
In the next cellar, newly renovated as the Armory Brewery Cellar, taste unfiltered and unpasteurised beer. It is totally fresh beer that has barely left the cellar and is therefore in the best condition. An extraordinary experience for you will be a mysterious night walk through the brewery, which we organize all year round, every Friday and Saturday from 19:00, 20:00 or 21:00 hours (Tour times), and in the summer months every day except Sunday from 21:00 hours. Tours at other times can be arranged by a prior telephone call. You will not only see the production plant, but also, under candlelight, the old brewery cellars, where the Třeboň beer ripens in the cold and dark. In the Armory Beer Cellar, you can not only taste freshly brewed beer, but also home-made bread, baked from brewer's yeast and malt, spread with lard. If one "small" beer is not enough, you can stay and taste other Bohemia Regent beers. Do you want to make the tour of the brewery more enjoyable? Add a beer tapping school, a special program that we've prepared for you. Under the guidance of an experienced brewery expert, we will teach you how to tap beer properly.